We’re very pleased to have found a kindred cook! Jason Bahamundi writes a blog about triathlon training and cooking. A regular column on his blog is The Frugal Grocer which includes recipes that are easy and affordable to make. 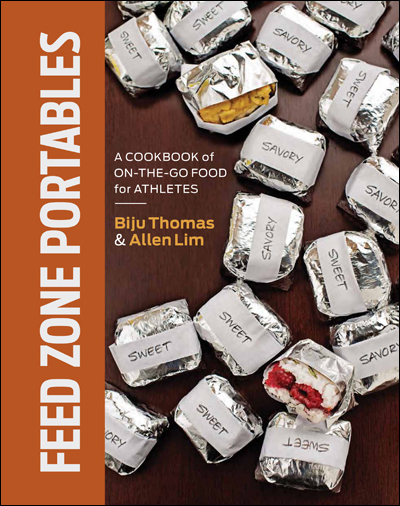 The Frugal Grocery philosophy is quite similar to Allen and Biju’s approach in The Feed Zone Cookbook: simple, delicious, ready to go. Most Feed Zone recipes include a handful of ingredients and require maybe 20 minutes to prepare. So when we saw Jason’s post about the Brown Rice Waffles from The Feed Zone Cookbook, we reached out to see if he might want to offer a few recipes to his readers. Jason’s Frugal Grocer column is cool, and we think you’ll enjoy checking it out. Then stay tuned for more of his tests, which we’ll post here as well.